Dr. Chen has personally traveled to Iraq twice to deploy telemedicine. He has also been to Syria, Africa, Latin America, and Southeast Asia on humanitarian trips. He completed his doctorate at Stanford on the human factors and psychology of videoconferencing and has been the keynote for Health 2.0 Japan and 100+ invited talks worldwide. The Arab Health Innov8 program features four days of talks from Microsoft, IBM Watson, Cerner, etc. on healthcare innovations such as genomics and personalized health, medical translation, regeneration and cell therapy, AI doctors, and of course, telehealth. It also features judged 8×8 minute startup pitches each day. 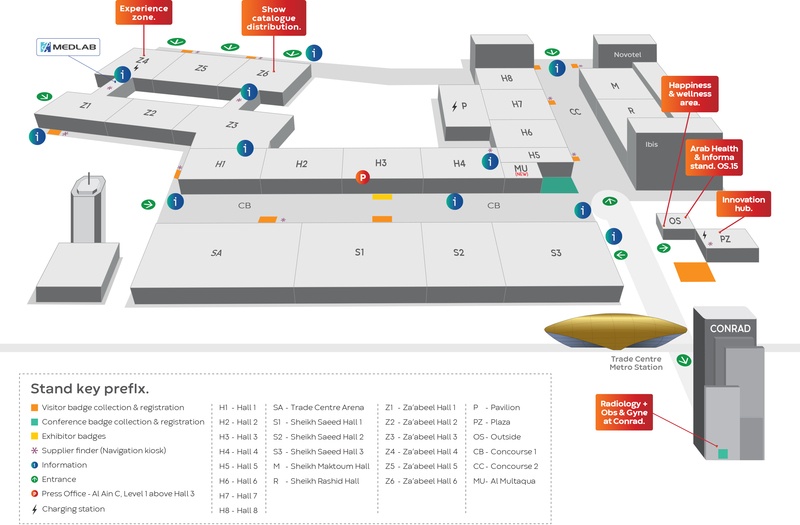 VSee will also be exhibiting inside the Dubai Ministry of Health and Prevention booth at Arab Health in Hall 5, H5.C30. We will be demonstrating Smart Health Gate for scanning passenger temperatures and health status at the airport to help prevent epidemics. We will also be showing radar technology that allows accurately capturing vitals and health data such as resting heart rate, emotional state — without touching passengers. Telehealth is becoming a big deal in the Middle East region with its soaring obesity rates (27-40%) and projected exponential growth in diabetes (110% by 2045) and lifestyle illnesses. Authorities are looking to telehealth and digital health to help meet the fast growing need for quick, economical, and quality care. While telehealth regulations pose a barrier to the creation of sustainable telehealth programs. The good news is that the Middle East has a strong telecommunications infrastructure and a relatively smartphone-happy consumer population that could allow it to quickly catch up to and even surpass telehealth in countries such as the US.